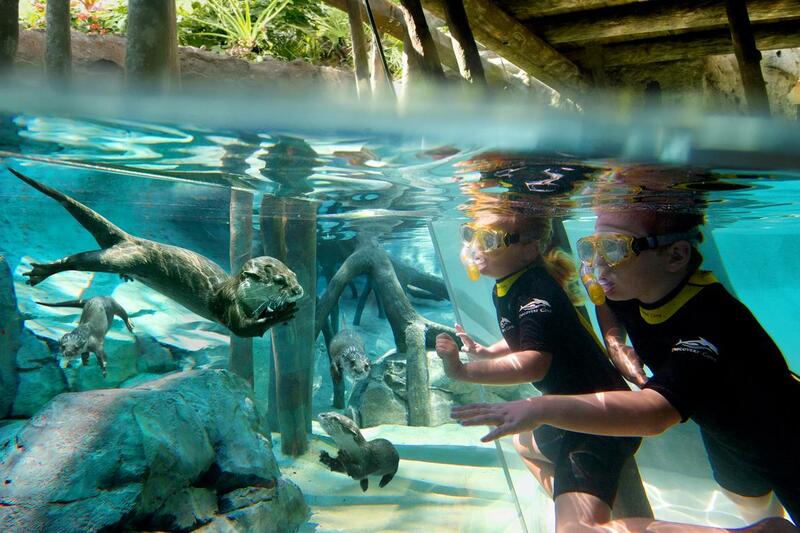 Enjoy an all-inclusive day resort experience at Discovery Cove®, the #1 Amusement Park in the World according to millions of travelers in the 2014 TripAdvisor Travelers' Choice™ Awards. Spend the day snorkeling and interacting with the animals, relaxing on the secluded beaches and eating the freshly prepared meals, plus unlimited snacks, drinks and alcoholic beverages. This intimate park is limited to only 1,300 guests a day, so you can escape the crowds and just relax for a day of incredible experiences! 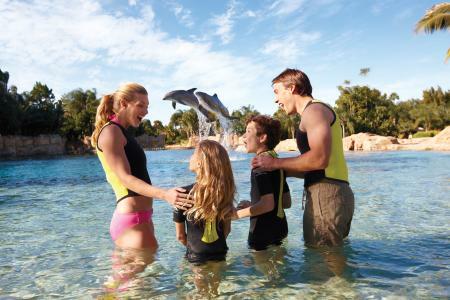 With this E-Ticket, you will also gain 14-day unlimited admission to SeaWorld® Orlando and Aquatica, SeaWorld's Waterpark™ around the date of your Discovery Cove reservation. 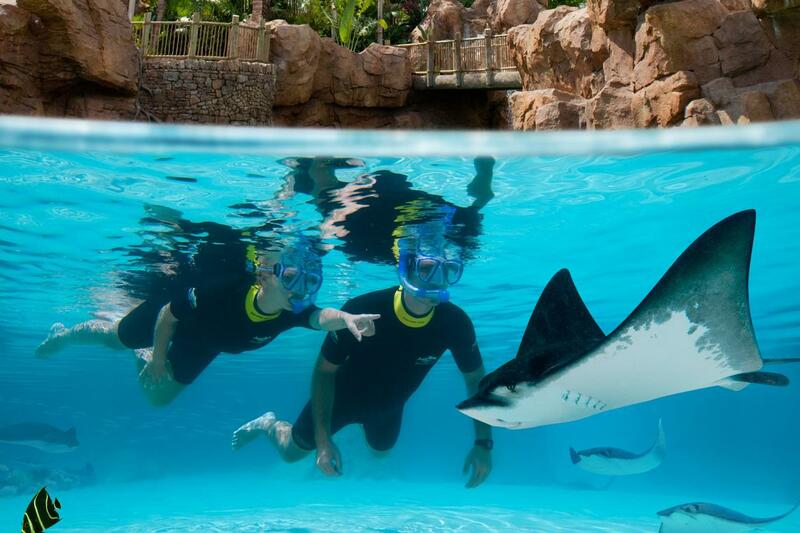 This 14-day admission must be used consecutively with your visit to Discovery Cove, either before, after, or a combination of both. Snorkeling with thousands of tropical fish and rays in The Grand Reef . Unlimited admission to SeaWorld® Orlando and Aquatica, SeaWorld's Waterpark™ in Orlando for 14 consecutive days around the date of your reservation. 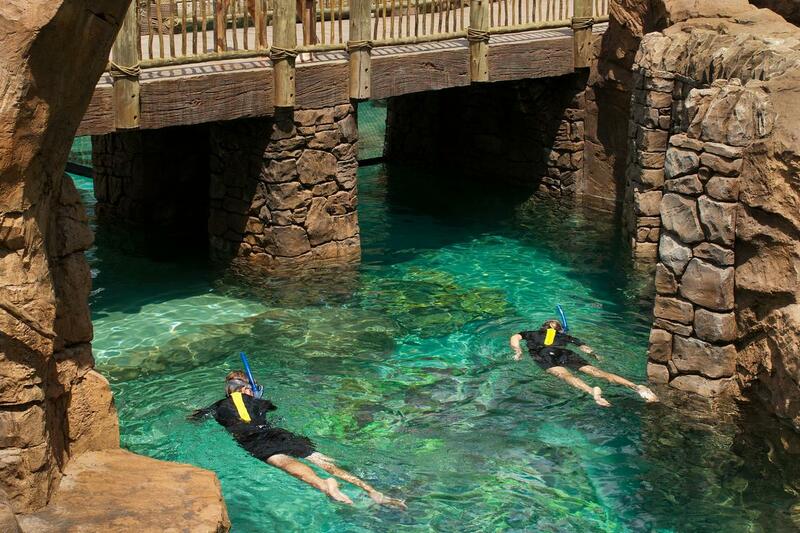 This is your E-Ticket for entry to Discovery Cove®. You must show a photo ID and matching E-Ticket reservation at Guest Services for each guest over the age of 18. 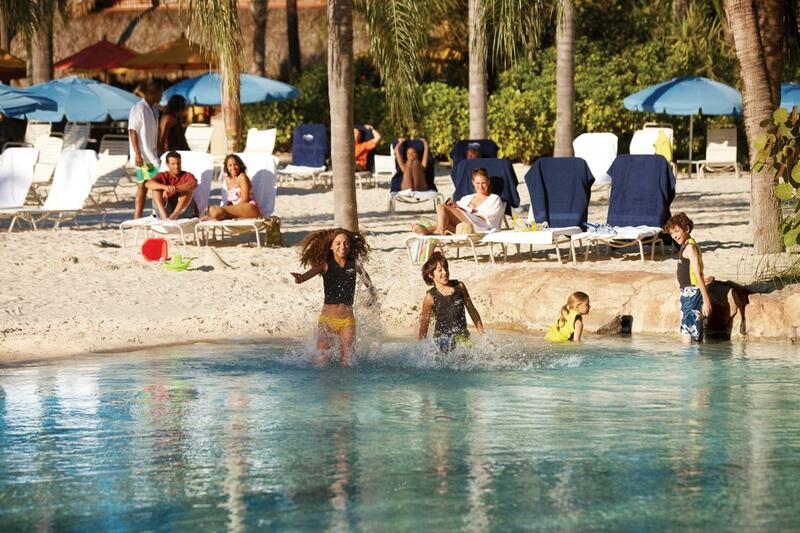 Discovery Cove® check-in begins at 7:30 a.m. on the morning of your reservation. We recommend that you check-in as early as possible to take full advantage of your day at the park. 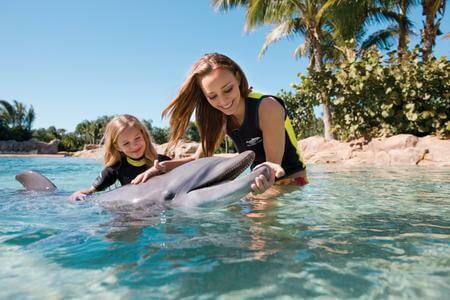 The personalized ID card you receive at Discovery Cove® check in will serve as your 14-day unlimited admission ticket to SeaWorld® Orlando and Aquatica, SeaWorld's Waterpark™. If you visit SeaWorld® Orlando or Aquatica, SeaWorld's Waterpark™ before your reservation date, you must present your E-Ticket and a photo ID for each party member 18 years or older at the Guest Relations/Services window located at the front gate of the sister park. 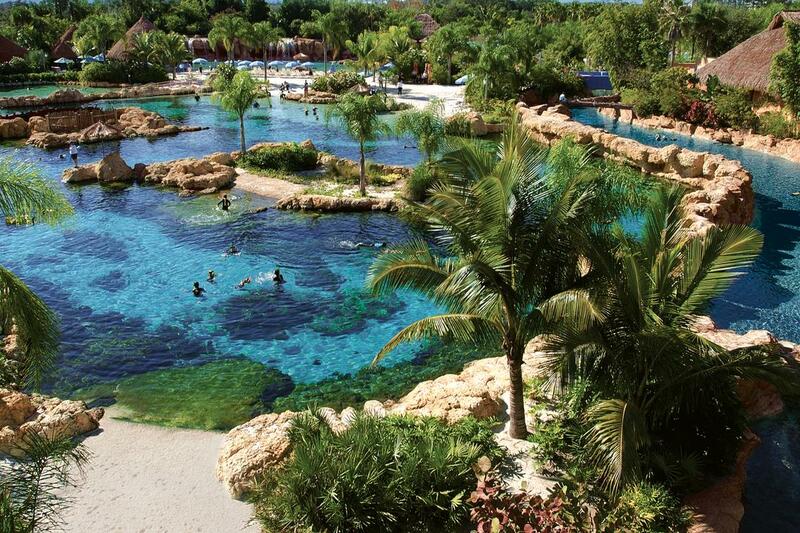 Valid for Discovery Cove admission on confirmed reservation day only. 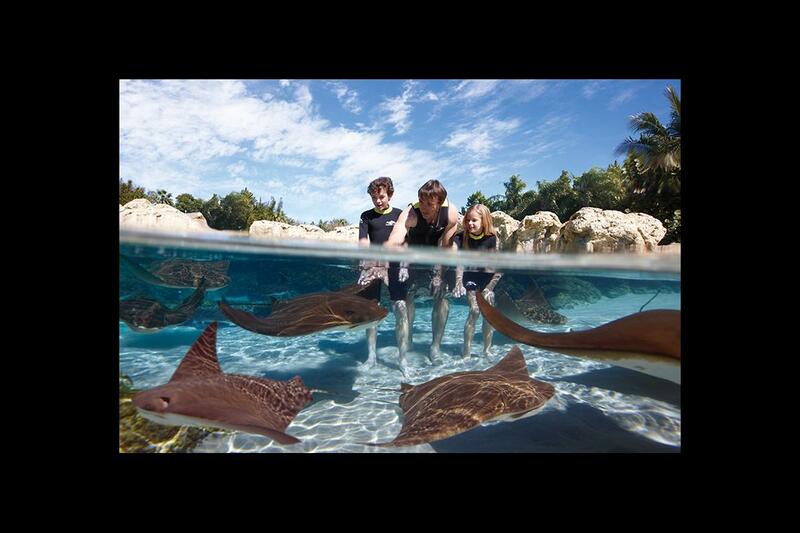 This E-Ticket is valid for entry to Discovery Cove® on date of reservation only. 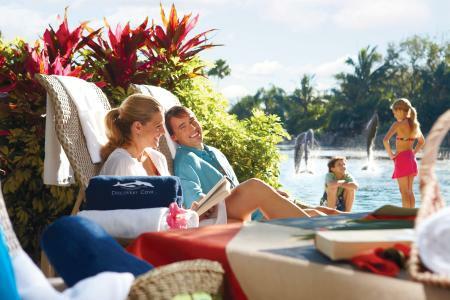 E-Ticket expires at SeaWorld® Orlando and Aquatica, SeaWorld's Waterpark™ 14 days after the date of reservation. This ticket does NOT include the 30 minute Dolphin Swim experience. 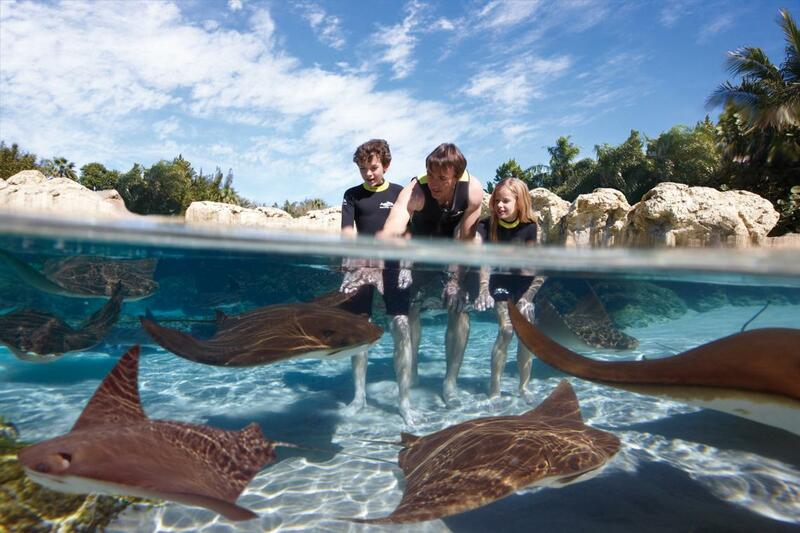 Return policy - Discovery Cove E-Tickets are non-refundable unless canceled at least 30 days prior to reservation date. Additionally, to be eligible for a refund, E-Tickets must be unused. Once verified with the vendor that they are unused, 95% of the item(s) total will be refunded. Yup, we are friendly frogs. The 5% fee will cover the delivery, handling and the processing fees associated with accepting payment and fulfilling the order. Expired E-Tickets, used E-Tickets, or any E-Ticket not currently sold on this site are non-refundable. Changes to your current order? Please contact Undercover Tourist with your order number and details of the change requested. Please note that any changes or refunds to this ticket must be done at least 30 days prior to your reservation time. Children under 3 are free and do not require a ticket for admission. All guests under the age of 18 must be accompanied by a paying adult.